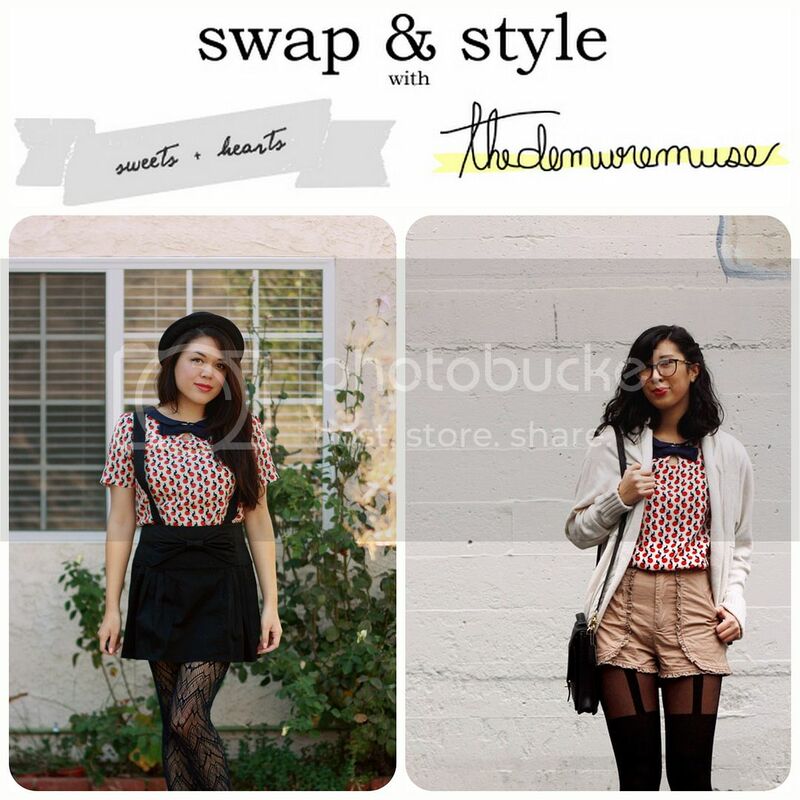 It's our first Swap & Style of the year! This time around, Katrina and I surprised each other with a fun novelty print blouse to borrow. We have a mutual fondness for quirky-cute prints, but I think I can speak for the both of us and say that we especially love animal themed ones. Foxes. Deer. And of course, cats and bunnies. For Part I, we styled my beloved cat blouse by Dear Creatures. I wore it with my Betsey Johnson suspender skirt, Missoni for Target tights, a bowler hat, and black booties. Here's a peek of how Katrina styled it. I love that she paired it with ruffle shorts and faux suspender tights. Don't forget to visit her blog for her photos and outfit details. Stay tuned for Swap & Style Part II (there will be bunnies)! Want more Swap & Style? Click here.